This course explores current aspects of Earth science, investigating how interactions between the Earths lithosphere, hydrosphere, cryosphere, atmosphere, and biosphere are dependent upon each other and interact across a wide range of temporal and spatial scales. You will consider the complexity of interacting systems, investigate how to quantify fluxes within the Earth system, and develop your understanding of the climatic consequences of changing the balance between different components. You will also learn how to communicate scientific information to specialists and non-specialists. The MSc includes taught modules and a compulsory project module, which gives you the opportunity to explore a topic in further depth and to undertake a substantial piece of independent research. Provides an excellent foundation for further studies at doctoral level. Course Duration 2 - 10 years. Entry Requirements To successfully undertake this course you will need to have studied Earth science at degree level. If you do not have a degree in Earth science (or similar) then you are likely to need to undertake additional study before starting this MSc. If you have other study or experience that you believe equips you to take this qualification you can still apply, but must supply evidence of that study or experience. For further advice please contact the Science Postgraduate Team.You will also need good computing skills and a level of proficiency in the English language that is adequate for study at postgraduate level. The following should give you some indication of the basic IT and language skills we expect students to have before enrolling on our postgraduate qualifications in science. Please refer to individual module descriptions to ensure that you are adequately prepared before starting to study for this qualification.Proficiency in the use of English: All of our taught modules are in English and your proficiency in the English language should be adequate for postgraduate study. If English is not your first language, we strongly recommend that you have achieved an International English Language Testing System (IELTS) score of at least 7. You can assess your English language skills in relation to your proposed studies by visiting the IELTS website. 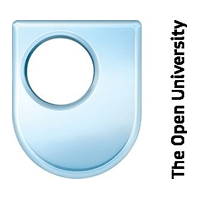 For information about Open University in Ireland, The, please visit our College Profile page on Postgrad.ie by clicking here.